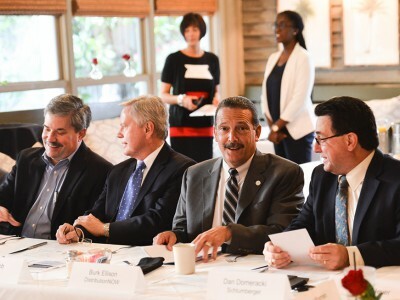 PESA Board and Advisory Board Members met with leadership from 18 committees, sub-committees, and regional districts on June 27 for the Committee Chairmen’s Briefing at Ouisie’s Kitchen. 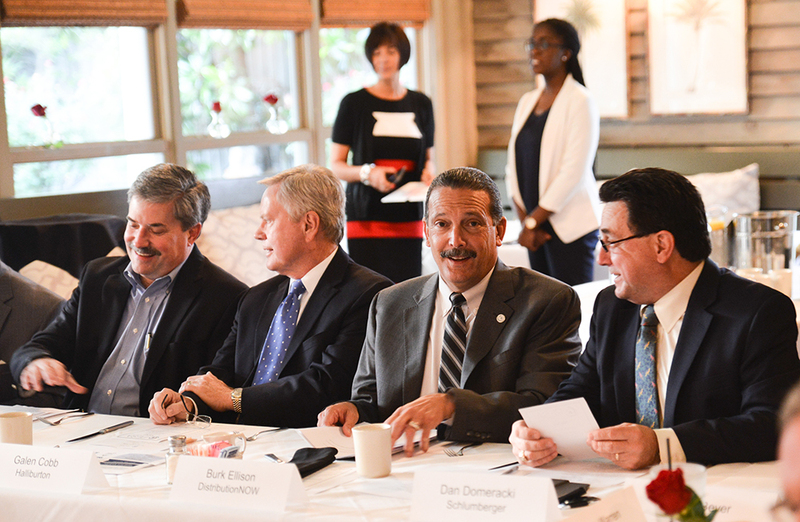 Each chairman shared their committee’s mission and 2017 goals, events and ongoing projects. Areas for potential collaboration were identified for committees to expand their reach and achieve mutual goals. “The Committee Chairmen’s Briefing was a positive step towards furthering PESA’s mission of advancing member priorities on key industry issues. The meeting fostered joint projects between committees that are being developed into meaningful projects for PESA Members. These collaborations elevate PESA’s relevancy, increasing awareness of issues impacting our sector and promoting education in the disciplines that drive the competitiveness of our workforce.” – PESA Chairman Burk Ellison, President – Supply Chain Services, DistributionNOW. PESA Committees manage a range of programs designed to educate, empower and elevate sector professionals and collective member companies. Active engagement with PESA committees is an opportunity for professionals at all levels and their companies to show leadership, network with other industry leaders, and gain recognition for helping improve the industry.